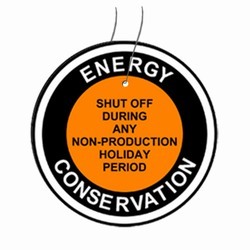 3" Round Plastic Tags for Indoor or Outdoor Industrial Use. 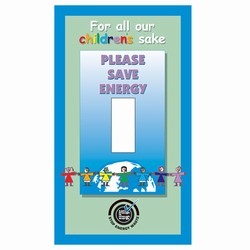 Energy Conservation Messages in Assorted Colors. 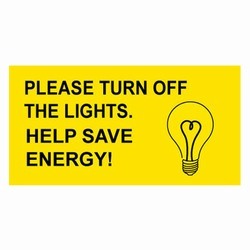 AI-edlite201-09 - 1 Color Please Turn Off The Lights. 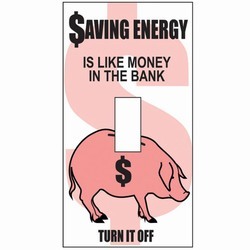 Help Save Energy. 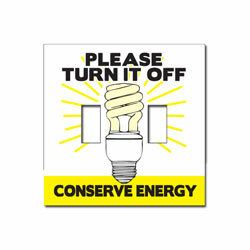 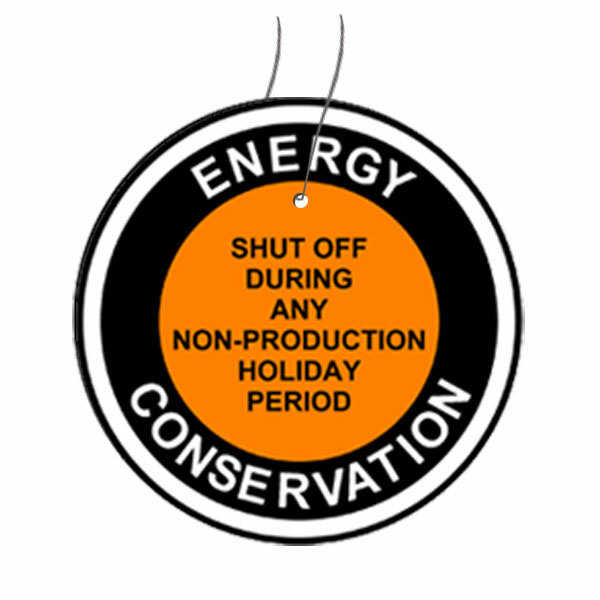 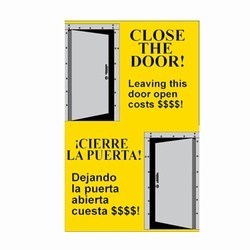 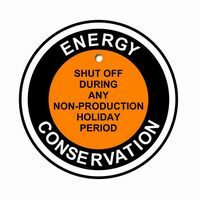 Energy Conservation Vinyl Decal, Yellow and Black, 6" x 3"